St Mary's Cathedral is dedicated to St Mary the Virgin. In 1111 at the Synod of Rathbrassil, it was decided that "St Mary's church" would become the cathedral church of the Diocese of Limerick. 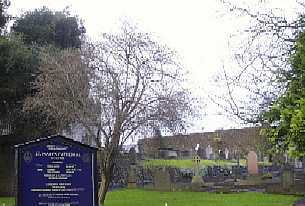 The present site of St Mary's Cathedral may not have been the original location of the church of St Mary. As Brian Hodkinson notes, tradition has it that Donal O'Brien, the King of Thomond, founded the present Cathedral on the site of his palace on King's Island in the latter half of the twelfth century. From this information we can see that there was a Cathedral of St Mary before Donal came to the seat of Thomond. What may have occurred according to Hodkinson is that O'Brien gave a site for a new Cathedral while he was the King of Thomond. Donal's palace was itself built on the site of an earlier church. Before becoming the location of the palace of the kings of Thomond, this site was believed to be a civic center for the pagan Norse settlement in Limerick. According to the original plan, the church was to be built in the shape of a Latin cross. The twelfth century cathedral was oblong in shape. It was believed that the nave, the Romanesque door facing the Courthouse and parts of the transepts were the oldest parts of the building. When Brian Hodkinson carried out excavations on the Cathedral, he discovered pottery and jewellery that dated from the latter half of the thirteenth century under the nave of the Cathedral. Hodkinson also discovered a large amount of medieval floor tile that were dated from around the end of the thirteenth century. From the graves, which the west wall of the Cathedral cuts through, Hodkinson surmised that the Romanesque doorway came from the earlier building on the site and was incorporated later into the new structure. Over the years the Cathedral has been renovated and extended. In the thirteenth century, the north and south transepts were added and there were a number of chapels built in the following two centuries in the north and south aisles. The addition of the chapels made the nave wider than the transepts but the transepts were later narrowed. Hodkinson discovered during his excavations that the transepts had been shortened by three metres. Around 1207, Bishop Donat O'Brien enlarged the chancel of the Cathedral. The next record of renovation works that took place at the Cathedral is dated around the 1360s. However Hodkinson mentions that during the term of office of Bishop Eustace de l'Eau (1311-1336) the church was beautified and re-dedicated. 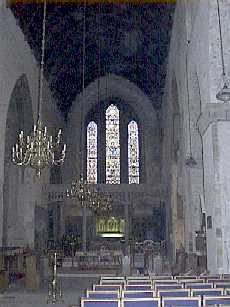 During the years 1380 to 1410, Cornelius O'Dea and Thomas Arthur further enlarged the chancel. 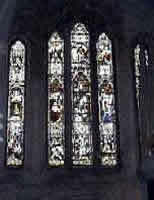 The chapel of St James and St Mary Magdalene is the original south transept of the Cathedral. This chapel was built by Thomas Balbeyn around 1370 and was repaired by Richard Bultingfort in or about 1400. Near the chapel, there are monuments to the memory of Geoffrey Galwey and his father in law Richard Bultingfort, who was six times the Mayor of Limerick between 1357 and 1390. To the right of this monument is the Budstone Sedilia, which was erected by John Budstone in 1401. There is also a monument to Cornelius O'Dea who was the Bishop of Limerick from 1400 to 1426. A reredos has been erected on the east wall of this chapel in memory of Thomas Johnson Westropp who died in 1838. In the original north transept is the chapel of the Holy Spirit, which dates from around 1360. Within the chapel, there is an inscription to Dean John Ffox, the treasurer of the Cathedral who died in 1519. Also in the north transept, there is an opening called the leper squint. Lepers were not allowed into churches in medieval times but could hear mass and receive Communion through this opening. 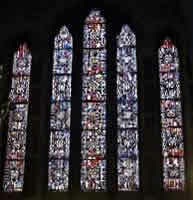 The Jebb chapel contains stained glass windows of St Catherine and St Nicholas'. The Arthur family erected this chapel in 1450. Murrough O'Brien of Inchiquin was buried in O'Brien's chapel in 1674. The people of Limerick hated Murrough, as he was renowned for burning churches. It is believed that the morning after his funeral, Murrough's body was taken from its resting-place and thrown into the River Shannon by a crowd of people. The Misericord seats in the choir of the Cathedral are from the fifteenth century and are unique to Ireland. They were carved from oak that grew in the woods of Cratloe and they number 23 in total. 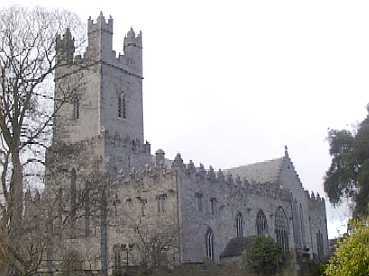 With the coming of the Reformation, the Cathedral became the property of the Church of Ireland. After the victory of the Catholic Confederates at Benburb in 1646, a Te Deum was sung in the presence of Archbishop Rinuccini in the Cathedral as Roman Catholics had taken control of it. The graveyard that surrounds the Cathedral is multidenominational as Roman Catholics families who had plots in the grounds of the Cathedral were permitted to continue using them. From Hodkinson's excavations on the Cathedral he discovered that the burials that took place in the Cathedral fell into two periods, early medieval and post-Reformation. The early medieval period refers to the years pre-dating the nave and he found no evidence of burials from the late medieval period even though there are references to several burials in the sources that Hodkinson consulted. St Mary's Cathedral was featured on a postal stamp in 1968 to commemorate its 800th anniversary. The interior of the Cathedral is presently undergoing a large Restoration Programme, which began in 1996. Work on the exterior of the Cathedral was completed in 1993. During this restoration work the pre-Reformation high altar was returned to its original place in the chancel. Cromwellian soldiers had used horses to remove the altar during their siege of the city in 1651. We would like to thank Bishop Michael Mayes for granting us permission to use information from the leaflet "St Mary's Cathedral 1168", which gives a more comprehensive history of the features and history of St Mary's Cathedral.